Challenge the evil Zaxxon in the harsh battleground of space! 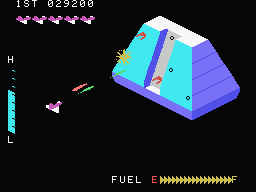 Alone in your space fighter, you are approaching the asteroid bases of the mighty robotic conquerer, Zaxxon! 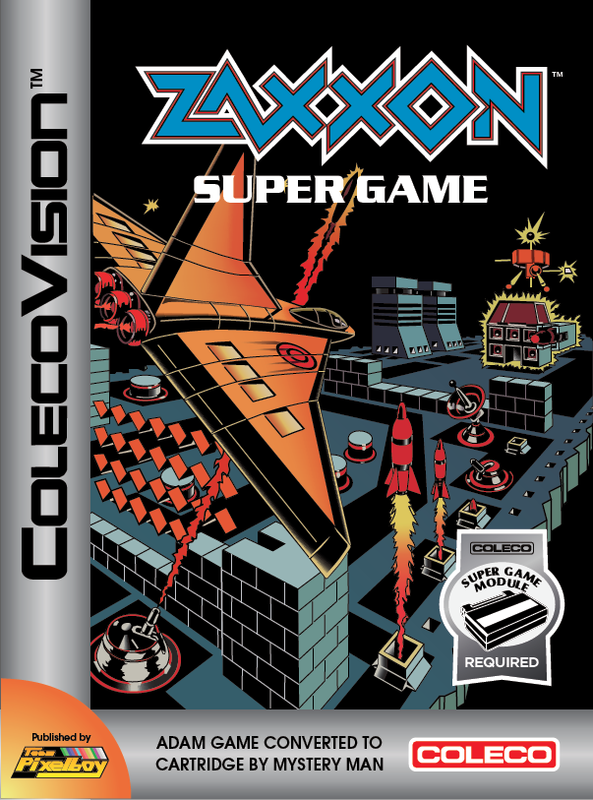 Maneuvering around gun turrets, missiles, forcefields and various airborn robotic ships, you will soon reach Zaxxon himself. But wait! 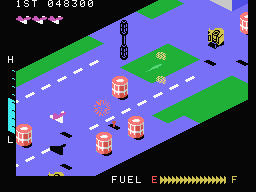 Your encounter with Zaxxon is just the beginning of your mission, which will take you through additional enemy asteroids, such as the Space Port and the Alien City, towards your true final target: The Zaxxon High Command! 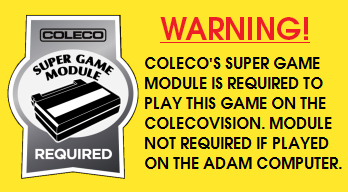 Get ready for the ultimate challenge, in this faithful cartridge conversion of the Coleco ADAM disk game! Not long after the unexpected completion of the Dragon's Lair project, I told Mystery Man that I would also like to eventually release the ADAM version of Zaxxon in cartridge format, and I offered him the same kind of publishing deal as I did with Dragon's Lair. He found some time in August 2012 to actually do this conversion (again in record time!) and now I've got one more game to offer. Just like Dragon's Lair, Zaxxon Super Game requires the extra RAM offered by Opcode's Super Game Module, but the SGM is not required when playing the game on the Adam computer. 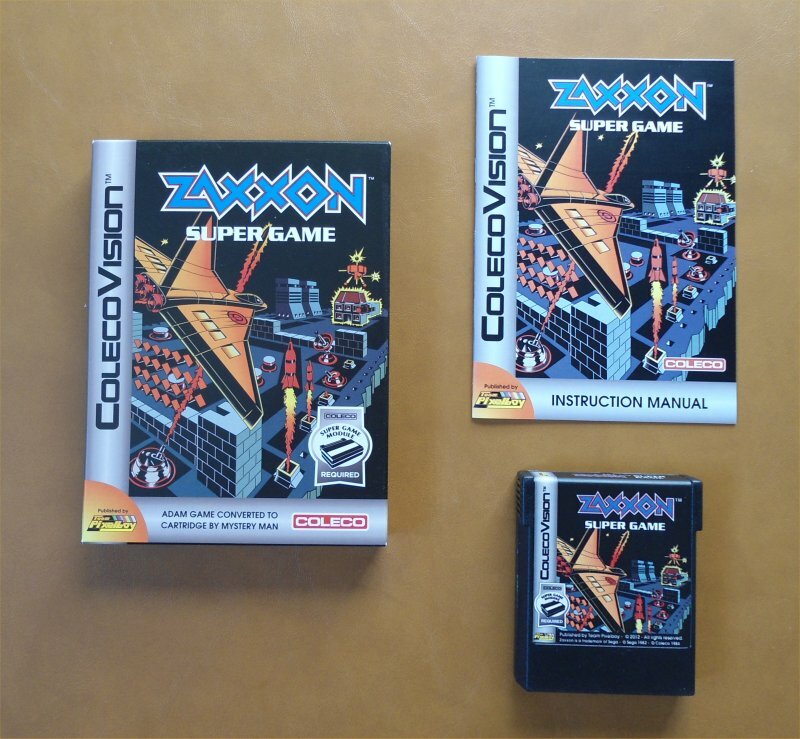 cartridge edition of Zaxxon Super Game.